With a 14 month old son, a lot of Sapna’s time away from science is spent with her family. It has been fun to go to music classes and swimming classes together, and he just recently learned to walk. 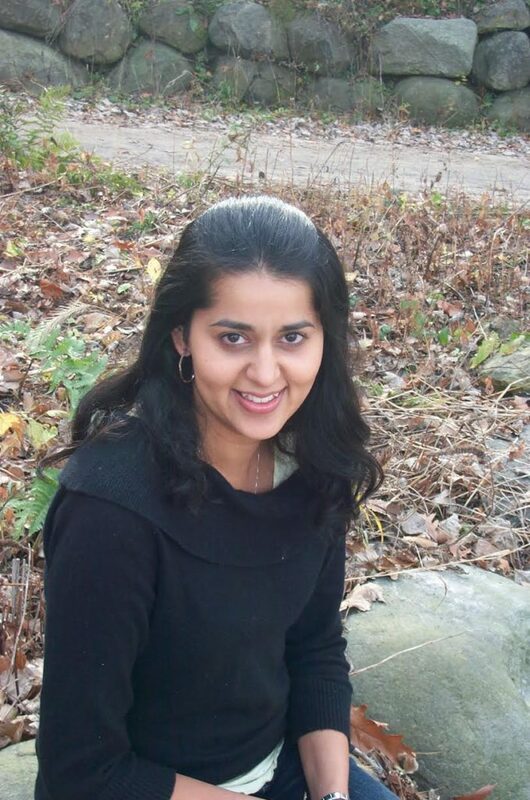 Sapna studies the effects of climate change, invasive species, and pollution on lakes. She is investigating how these effects are manifested through water quality, fish populations, water temperatures, and lake ice. Growing up, she was a competitive tennis player, so athletics consumed most her her energy. However, in seventh grade, Sapna did her science fair project on the effects of climate change on plants, and in 8th grade her science fair project focused on acid rain. She was serious about athletics, but science was something she did for fun. When Sapna sustained injuries that ended her tennis career, she turned her attention towards science. For her first postdoc, Sapna worked in a small town where she found many of the people weren’t welcoming to others from different cultures or races. People would say racist things to her at work during lunch or on her way home. Sapna was able to get through it by building a support network there of others facing similar problems, and she also had strong connections with colleagues in Toronto who were able to connect her to the scientists who would become her next postdoctoral advisors. One of her recent research projects examining global changes in water temperatures has recently been published and is garnering a lot of media attention. In fact, it was featured on the front page of the Toronto Star, and the results of their research are being used in advertisements for the Toronto Star’s new app. It’s been exciting seeing her research in ads all over the subway, buses, bus stands, and streetcars around the city. Another study that published recently uses data on lake ice collected by Japanese priests and Finnish merchants over hundreds of years to give us a picture of what the climate was like before the industrial revolution. Sapna went on a 3-day whirlwind trip to Nanjing, China to give a plenary lecture about water quality and pollution problems in Tai Lake there. It made her appreciate how important lakes are to people and how important it is to manage them well. During her trip, she had an amazing time meeting warm and friendly people, visiting the markets, seeing some of the temples, and learning a little more about the culture. In Sapna’s graduate school lab, they had a lot of really old computers networked together to share data. Her supervisor finally bought a fancy new computer that was supposed to be Sapna’s primary computer, but she had trouble getting it to work right. Not long afterwards, her colleagues started asking why she kept sending them viruses from this computer. After some sleuthing, they discovered that the new computer was the third most active computer on campus because someone had hacked into it and was using it as a server to distribute viruses. When you get new tasks that won’t take that much time to do, just do them immediately to get them off your plate. Taking care of these little things quickly keeps things from piling up on your to-do list. Also, always keep your options open and have backup plans because you never know where life is going to take you. You should also make sure to always have a support system, because with a support system, you can get through anything. Sapna’s research interests include predicting the effects of environmental stressors such as climate change, invasive species, and habitat alteration on lakes. She and her colleagues are also working to improve the use of quantitative approaches used to generate these predictions. Sapna has also founded a science outreach program at York University named SEEDS designed to build supportive communities and captivate the curiosity of newly-arrived government sponsored refugee children and their families from around the world, including Syria, Afghanistan, Iraq, Iran, Somalia, Burma, and Eritrea.